Debris on the roadway is a safety hazard for any motorist, but particularly perilous for motorcyclists. According to the Motorcycle Safety Foundation, road debris creates a much greater hazard for motorcycles than for larger vehicles. Debris can deflect a motorcycle wheel when it strikes, cause the motorcycle to go out of control and crash, seriously injuring riders. Motorcycle riders lack the protection of an enclosed vehicle. Accidents can cause serious and significant long-term physical damage, and leave you dealing with the associated medical bills and lost wages. If you have been hurt in a motorcycle crash caused by road debris, it is in your best interests to speak with an experienced motorcycle accident attorney in Phoenix as soon as possible. At Breyer Law Offices, P.C., we can help you pursue the financial compensation you need to cover your medical expenses and other losses. Road debris is anything in the road that does not belong there. It can be found in rural areas or in the city. Debris can collect in the middle of the road, on the sides of the road, or in medians and traffic islands. It can cause collisions, make the bike slide out of control, or hit and seriously injury the rider. Rocks in the road caused by rockslides. Corners can be tricky to navigate when there is unexpected debris in the road. Leaves, sand, gravel, and other debris in the road tend to accumulate on the outside edge of a curve. Debris can be hazardous to motorcyclists under any conditions, but most frequently causes a crash when the rider is in the process of making a turn. The faster you are traveling when you take a turn, the more you need to lean into it. Debris on the road in a turn can cause the bike to lose traction and crash. Diligent riders always scan the surface of the road ahead for debris. When a sharp turn is ahead, it might not be possible to see around the curve, and debris in the road can take a rider by surprise. If you have been seriously injured in a motorcycle crash caused by road debris, you were likely in no condition to collect evidence after the accident. Our Phoenix road debris motorcycle accident lawyers at Breyer Law Offices, P.C. can take manage these critical details. We can investigate the scene of the crash, gather the evidence, and build a strong case on your behalf, so you can focus on recovering from your injuries. We have a successful track record obtaining favorable settlements and verdicts for our clients injured in motorcycle accidents. Contact us at (602) 267-1280 for a free case evaluation to find out what our legal team can do for you. 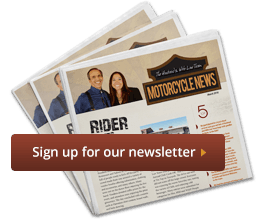 Phoenix Hazardous Road Motorcycle Crash Lawyer Disclaimer: The legal information presented at this site should not be construed to be formal legal advice, nor the formation of a lawyer or attorney client relationship. Any results set forth herein are based upon the facts of that particular case and do not represent a promise or guarantee. Please contact a lawyer for a consultation on your particular legal matter. This web site is not intended to solicit clients for matters outside of the state of Arizona.